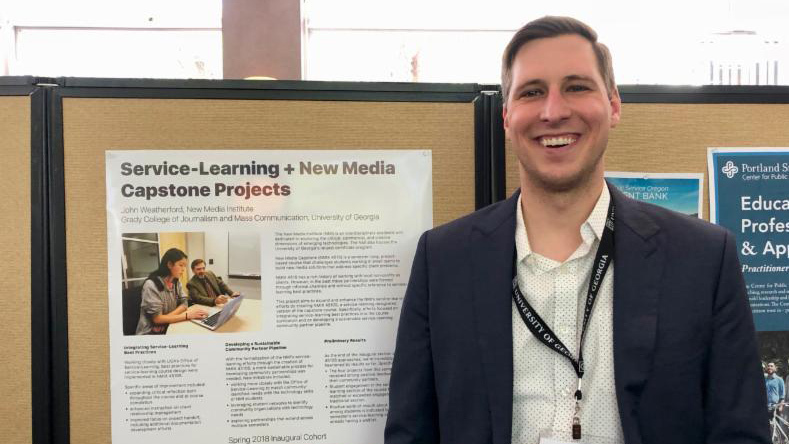 As a finale to his year-long Service-Learning Fellowship through UGA’s Office of Service-Learning, John was invited to participate in a poster presentation at the national Consortium of University Public Service Organizations‘ annual conference. John’s presentation focused on his approach to bringing service-learning best practices to the inaugural service section of New Media Capstone taught this semester. At the conference, John was able to network with scholars from across the country and share the amazing work of NMI students and their community partners with a vast audience. Congratulations, John!